Simultaneously embracing nature, the unpredictable and technology, the art of Tim Knowles emphasises a serious purpose through a playful approach. Using the wind as inspiration for this project and the force through which the work is created, Tim accentuates the dependent yet often strained relationship humans have with the natural world. 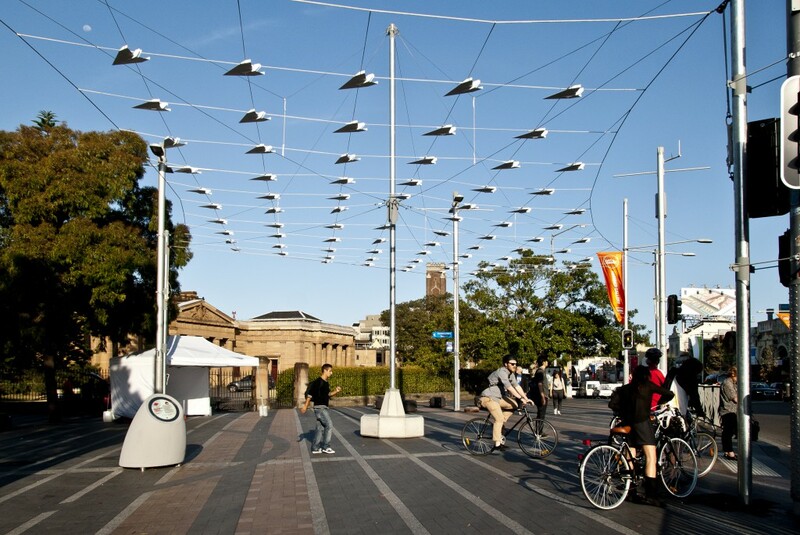 Tim Knowles’ commission involved three public artworks “celebrating the power of the wind.” Based in and around Taylor Square, this project connected communities and inspired creative endeavours, changing perceptions of our surroundings and asking us to consider our city as more than a shifting sum of walls, traffic, viewpoints and blind spots to which we have grown accustomed. 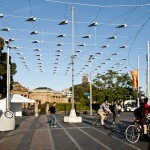 This dynamic project incorporated three components, WindGrid, WindWalk and WindLab that have close connections but also very different characteristics. Despite our highly urban existence, natural elements like the wind can and do determine our daily experience. Indeed the wind is a particularly unique phenomenon – an invisible force; uncontrollable, destructive and creative. For centuries, the wind has inspired myths and deities, generated life, and shaped the world’s landforms, climate and ocean currents. It is an invisible force, uncontrollable, destructive and creative, it can be used but not captured, contained or owned. It is in constant flux and unlike water it has no political connections or implications. Wind has shaped the world, its landscapes and their fertility, and as a result, local and global economies. 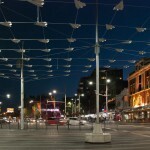 WindGrid was a mesmerising installation, suspended above Taylor Square and activated by the wind. 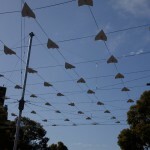 The constantly shifting canopy of tiny ‘paper aeroplanes’ danced in the breeze and cast shadows on the pavement. The WindLab was a welcoming space where the public could interact with and contribute to the project. 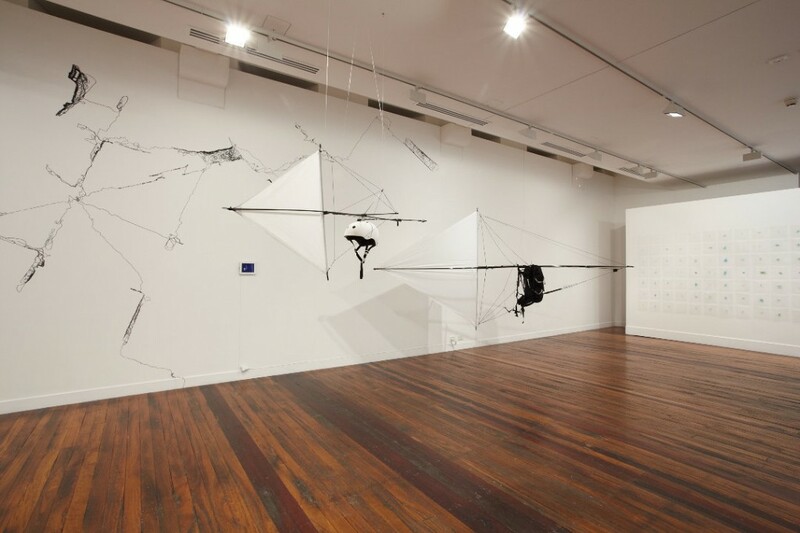 Just off Taylor Square at the National Art School Gallery, the WindLab was open Mondays to Saturdays, featuring a small museum, presenting artworks and a public archive of wind observations, images, videos and stories. This work delved into the history of the local area, following the long narrative of the Gadigal peoples, the traditional owners of these lands who continued to use this site until the 1840s, and the European settlers who took hold after this time. 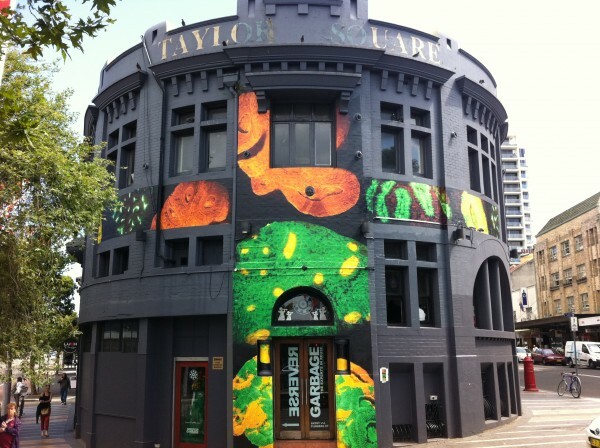 Darlinghurst and Kings Cross then became the scene of many windmills, creating striking landmarks on the horizon line, often referenced in maps and topographical drawings from that era. The windmills captured the wind from the harbour, harnessing this natural resource for the new industry of establishing and sustaining the growing economy. 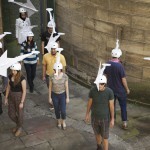 In a series of mass WindWalks the public participated in the creation of the work using mechanisms that harness the wind. 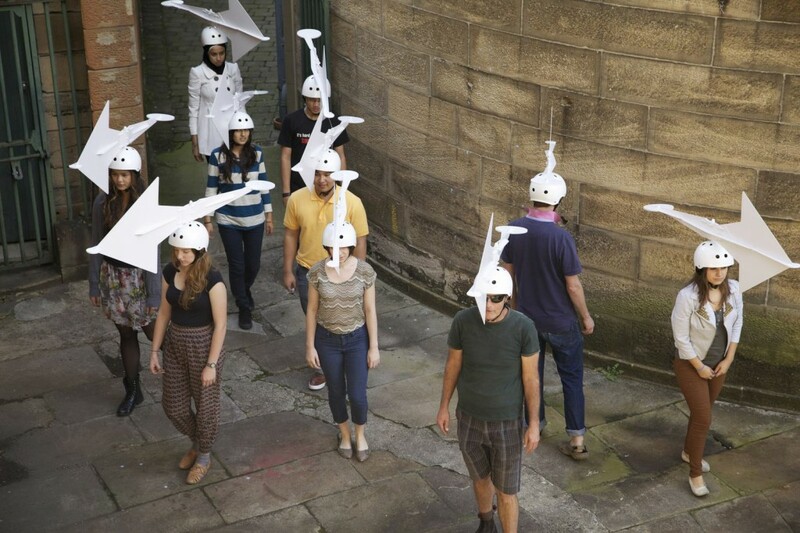 For this ambitious community event the participants wore helmets fixed with weathervanes and moved around the city in whichever direction the wind took. 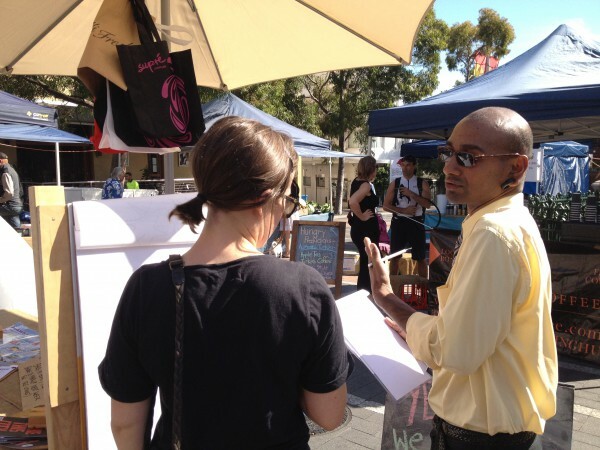 Their journeys, traced by small GPS devices, resulted in live screen-based drawings on view in Taylor Square. 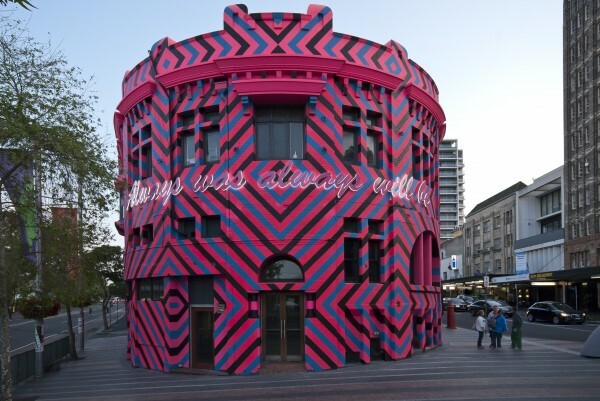 Tim Knowles is a UK-based artist who has extensive international experience working in the public realm. His work embraces experience and action, digital technology, drawing, photography and video to consider the beautiful, poignant, troubled and sometimes humorous relationship humans have with the natural world. 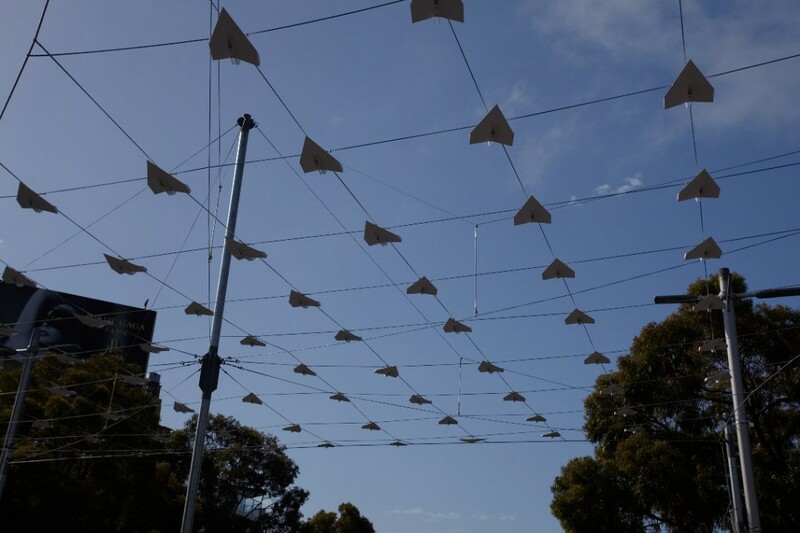 For the fifth Taylor Square program the City of Sydney invited collaborations of artists and arts organisations and selected a series of three artworks by artist Tim Knowles celebrating the power of the wind. 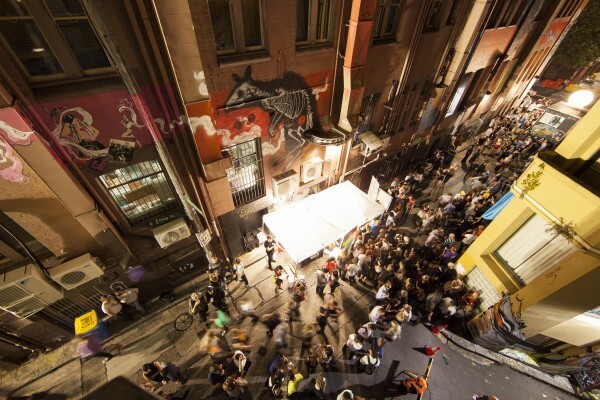 The program was curated by Katie Dyer, National Art School. 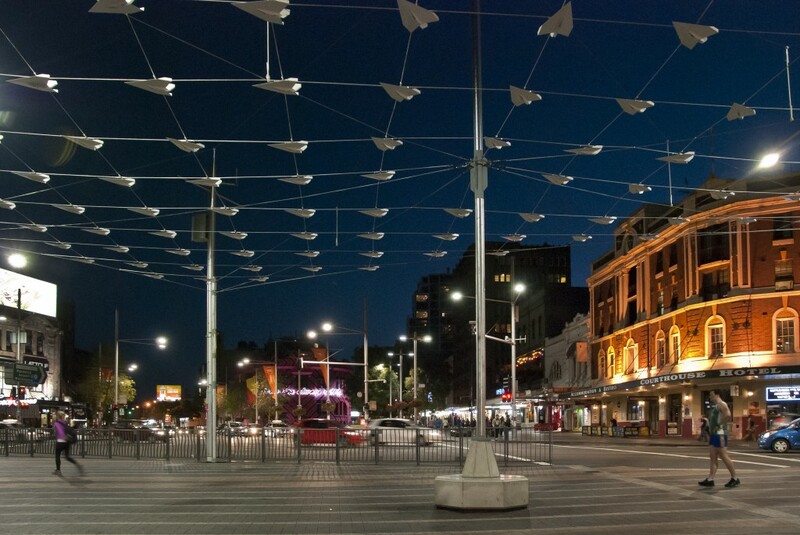 WindGrid was on view in Taylor Square North from September 2012 – May 2013. 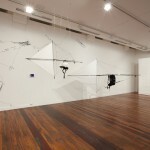 WindLab was on view at the National Art School Gallery, off Taylor Square from 30 August – 13 October 2012. WindWalks took place on various dates.